FC Barcelona coach Ernesto Valverde named an 18-man squad this Friday, for the team's trip to Anoeta to take on Real Sociedad this Saturday at 4:15pm CEST. 1. Marc-André ter Stegen, 2. Nélson Semedo, 3. Gerard Piqué, 4. Ivan Rakitic, 5. Sergio Busquets, 7. Philippe Coutinho, 9. Luis Suárez, 10. Leo Messi, 11. Ousmane Dembélé, 12. Rafinha, 13. Jasper Cillessen, 15. Clément Lenglet, 18. Jordi Alba, 19. Munir El Haddadi, 20. Sergi Roberto, 22. Arturo Vidal, 23. Samuel Umtiti, 24. Thomas Vermaelen. Carles Aleñá and Arthur Melo have been left out and Denis Suárez, Malcom and Sergi Samper are missing due to injury. 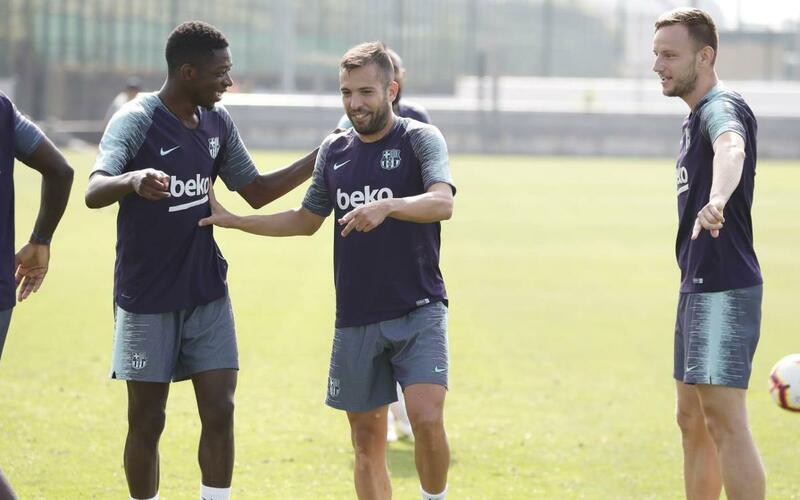 In the final preparations for the contest, which comes after an international break, Valverde put the squad through their paces on Friday morning. Returning to training were Brazilian players Coutinho and Arthur. Barça B's Jokin Ezkieta trained with the first team, whilst Malcom continued with his recovery process. The session was the first of the week in which all of the club's internationals were available.